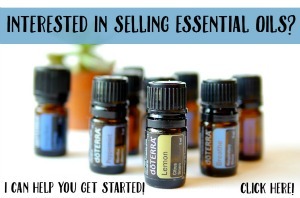 Hello Everything Etsy readers! I am Angie and I blog at The Country Chic Cottage as well as Crafts with Jars. 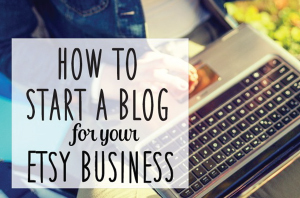 I love Kim’s blog and am thrilled to be here. I thought I would share a summer time craft with y’all today. I grabbed my sea glass collection and got creative. 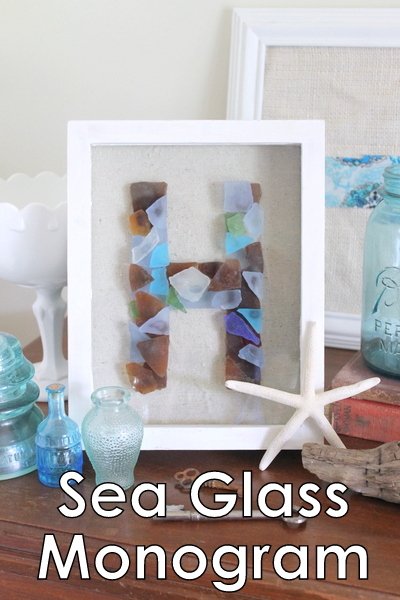 My sea glass monogram will make a lovely addition to your home plus it makes is a great way to display those vacation memories. You will need some sea glass either collected from the beach or purchased. I also used a shadowbox as shown below. It is already painted white and has some fabric that I added over the back. I used a ruler to draw my monogram since ours is so simple. You could also print a letter from the printer and trace it onto your fabric. Then is it sort of like working a puzzle. 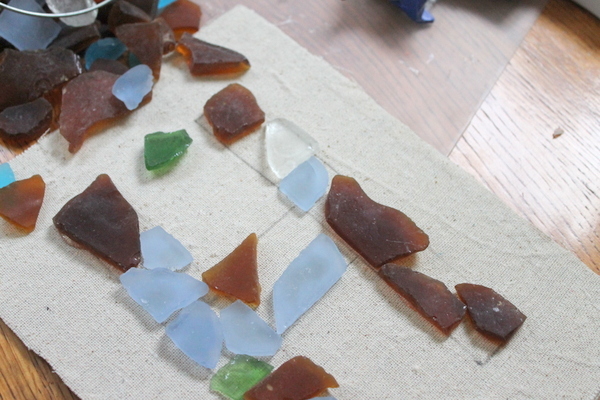 Add in pieces of sea glass here and there until you have completely filled your monogram. I layered the sea glass on top of one another for a three dimensional effect as well. I used hot glue to attach my sea glass pieces. 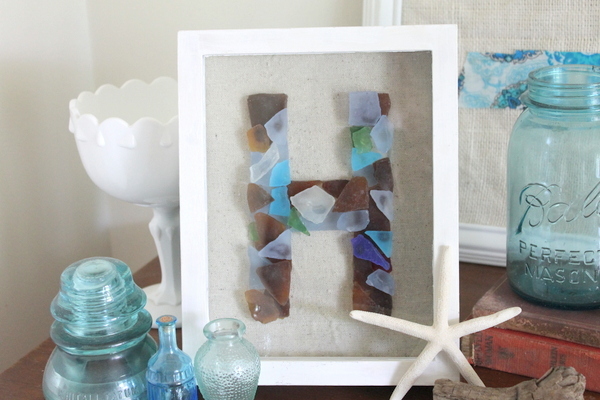 Once your monogram is filled completely with sea glass, just add it to your shadowbox for a fun addition to your beach themed decor. 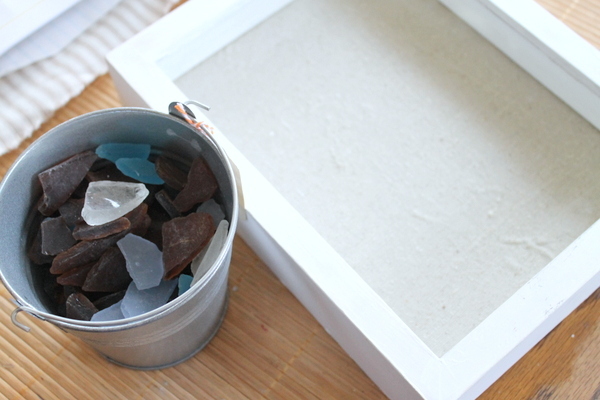 Don’t hide your sea glass collection away in a box. 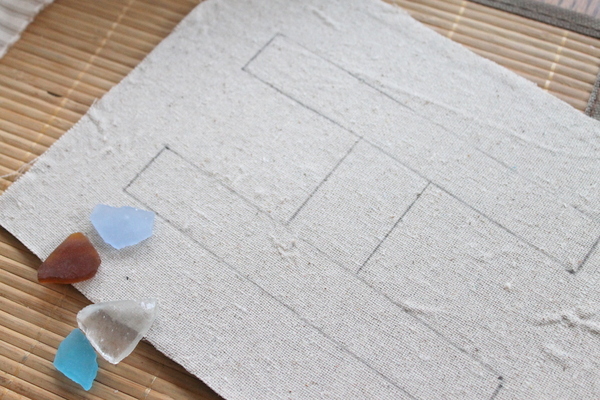 Display it with my sea glass monogram craft. Thank you so much Kim for having me here today. Y’all please visit the cottage anytime! Plus visit my etsy shop for all of your wedding and vintage paper needs. Did you miss any of these Summer Splash post? ?